Who is KIP you may ask? KIP is a leading global supplier of digital printing and scanning solutions for color and monochrome wide format documents. KIP offers an extensive product range that meets the ever-increasing demand for fast, high quality, cost effective reproduction. KIP advanced product technology leads the market in performance, reliability and value with an exceptional low cost of operation. KIP is headquartered in Novi, Michigan with research and manufacturing centers in the United States, Germany, Taiwan and Japan. The Company has regional demonstration and training centers in the following major North American metropolitan areas, Novi, Michigan; Chicago, Illinois; Toronto, Canada; Baltimore, Maryland; Atlanta, Georgia; Dallas, Texas; Irvine, California and Seattle, Washington. They are committed to product designs that promote environmental health and sustainability. Our goal is to improve the customer experience by integrating environmental considerations into our business strategy, resulting in superior products. Customers increasingly value environmental aspects of products, such as energy efficiency and emissions reduction. We differentiate our products by integrating such features to reduce total cost of ownership and deliver an improved user experience. Innovative productivity and configuration versatility expands the range of the Kip 71 Series MFP systems to meet the needs of technical printing professionals. 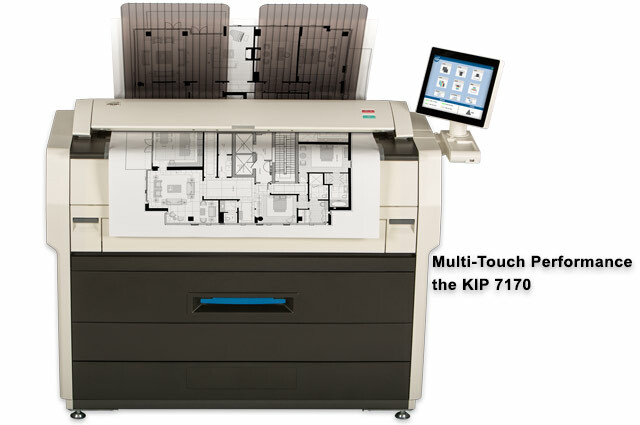 Three new Kip 71 Series MFP’s systems offer innovative productivity and configuration versatility expands the range of the KIP 71 Series systems to meet the needs of technical printing professionals. 1 or 2 Media Roll Capacity. 240 or 360 D Size Prints per Hour. 4 or 6 ‘D’ Size Prints Per Minute. Integrated Touchscreen with Advanced User Management. PC & Web Based Submission Tools. We Will Pay Top Dollar for Your Used Copiers and Printers! Town Business Center has been one of the largest copier and printer buyers in the wholesale copier marketplace for over 25 years. We specialize in getting you the best price for your used copiers. We BUY all major brands, makes and models of used copiers, including Ricoh, Kip, Canon, Sharp, Konica Minolta, Xerox, Toshiba, Kyocera Mita, and more. We buy any quality, any meters, and we will handle all of the transaction for you, quickly getting the copiers paid for and picked up at your facility! Contact us at your earliest convenience and we will be happy to help you with all your used copier and printer needs, 570.602.1640. We have some of the best technicians to test your used copiers to insure they are in the best working conditions, and our friendly and helpful customer service will help you find the best used copier or wide format printer for your needs. Our warehouse is clean and organized, making it the perfect place to showcase the quality brands of used copiers we have available. © 2019 Town Business Center. All Rights Reserved. Powered by Jungle Computer.